We all know that exercise is important for maintaining our physical health and function as we age. But did you know that certain types of exercise also help maintain your brain? This month we will look at some of the cognitive benefits of dancing. Get ready to kick up your heels! Aging is associated with gradual changes in our memory and attention. It is important to preserve these abilities so that we can live safely and independently into our old age. Dancing has been shown to help maintain these functions. Exercise (such as dancing) causes the release of growth factors in the brain. These chemicals help to nourish the connections between nerve cells (1). Enriched environments are stimulating to the brain. They provide the brain with lots of interesting information to work with. This keeps the brain active and using its numerous connections. Research has shown that animals living in enriched environments have delayed changes in their brains (1). Attending a dance is an example of being in an enriched environment. Dancing includes being physically active, moving in rhythmic ways, using memory and recall of dancing patterns, and balance reactions. Dancing also involves social interactions, emotions, and music. All of these factors add up to powerful stimulation for the brain. So get out there and dance to keep your brain young! 1) Kattenstroth JC, Kolankowska I, Kalisch T, Dinse HR. Superior sensory, motor, and cognitive performance in elderly individuals with multi-year dancing activities. Front. Aging Neurosci., 21 July 2010. https://doi.org/10.3389/fnagi.2010.0003. Osteoarthritis (OA) is a common condition that can affect many joints in the body. It is often seen on x-rays as narrowing of the joint space. Sometimes bone spurs are present. Often the lining of the joint is inflamed. This can cause significant pain and difficulty performing daily activities. If this condition is affecting your life, you may be wondering what your treatment options are. 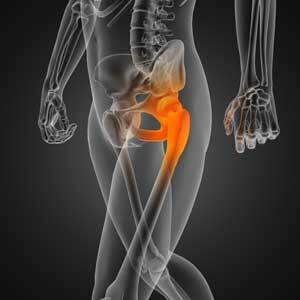 A recent article in the journal Physical Therapy discuses the most current evidence-based treatments for OA of the hip(1). Improved muscle strength. When supporting muscles are strong they absorb impact forces so the hip joint doesn’t have to. Increased joint range of motion. Good flexibility is important because it lessens the stress on joints. Pain medications. Over the counter medications are recommended first. These include non-steroidal anti-inflammatories, often called NSAIDs. Joint replacement surgery. This option is reserved for people who have significant pain and limitations in daily activities and who have failed conservative treatments. If you are suffering from hip pain and find yourself limited in the things you enjoy doing, contact our clinic for a physical therapy assessment. Our staff of trained therapists looks forward to helping you decrease your pain so you can get back to your normal daily routine. Poquet N, Williams M, Bennell KL. Exercise for osteoarthritis of the hip. Physical Therapy. 2016; Volume 96 (11): 1689-1694. It’s time to get your skis, snowboards, boots and bindings tuned up! Dig out your favorite jacket and gloves because ski season is almost here! Your gear may be ready for the slopes, but what about you? Are YOU ready for the slopes? Are you having any issues with your knees, hips, feet, shoulders or spine? Pain in any of these areas could slow you down on the slopes this season. A few simple changes to your routine and some common sense go a long way toward preventing injuries. Perform a warm-up program before getting on the ski lift. Start with a few easier runs to get your body moving and to make sure your equipment is in good working order. Stick to marked trails. Skiing and snowboarding in out-of-bounds areas poses additional risks that can increase the potential for injury. Maintain your skill level and use proper technique. Most people take lessons when they are new to the sport, but lessons can also be helpful for proficient skiers who want to advance their skills to the next level. Remember to pack all important equipment. Pace yourself on the slopes. Consider skiing a half-day on your first day out, or take rest breaks when needed. You are more likely to get injured when you are fatigued. Don’t ski multiple days in a row for the first time out this season. Limit alcohol consumption. Being active at high elevations leads to relative dehydration. Alcohol magnifies this dehydration which can increase the potential for injury. Who doesn’t love a mug of hot chocolate at the ski lodge? Just say no to the Bailey’s Irish Cream! If you have any questions regarding your physical readiness to start skiing, or any other sport, please contact us at Foothills Orthopedic & Sport Therapy for a free consultation. We would be glad to assess your readiness to participate and provide guidance on appropriate exercises, as well as any treatment that might be needed to get you on the ski lift and ready to carve some powder! “My knee hurts when I go down stairs.” “I can’t reach behind my back without my shoulder hurting.” “I have constant back pain.” Do any of these statements apply to you? These are common problems that cause people to seek medical treatment. Pain can be debilitating and can cause people to turn to prescription pain medication. This October, the American Physical Therapy Association (www.apta.org) is raising awareness of physical therapy as a safe and effective alternative to opioids for treating chronic pain. Opioid medications are prescribed at alarming rates. While there has been a decrease in opioid prescription in recent years, they are still prescribed at alarming rates. According to the CDC, in 2016 health care providers wrote 214 million prescriptions for opioids. The risk for misusing prescription opioids is real. According to the CDC, every day over 1,000 people are treated in emergency departments for misusing prescription pain medications. The risk for addiction is real. According to the CDC, as many as 1 in 4 people who receive prescription opioids struggles with addiction. The risk for heroin use is real. According to the CDC, among new heroin users, about 3 out of 4 report abusing prescription pain medications before using heroin. Physical therapy is a safe and effective alternative to opioids for long-term pain management. In March 2016 the CDC released guidelines urging non-opioid approaches for managing chronic pain. Physical therapy is a safe and effective non-opioid alternative. There are some situations in which opioid therapy is appropriate. Opioids may be appropriate for cancer treatment, palliative care, end-of-life care, and certain acute situations. Still, the CDC guidelines suggest pairing drug therapy with non-drug therapy. In fact, the prescriber checklist recommends trying non-drug therapy first. Patients have a choice about the kind of treatment they receive. Before accepting a prescription for opioids, patients should talk to their health care providers about related risks and safer alternatives. Physical therapy is not always prescribed. A study published in Spine found that between 1997 and 2010 only about 10% of doctor visits for low back pain resulted in a referral to a physical therapist. If your doctor doesn’t give you a referral to see a physical therapist, ask for one! A wide range of conditions respond to physical therapy. Physical therapists are trained to work with conditions that affect all joints, muscles, tendons, and ligaments of the body. Some physical therapists have additional training in specific areas such as hand therapy or women’s health. There is likely a therapist out there with the skills to help your specific problem. September is National Balance Awareness Month. 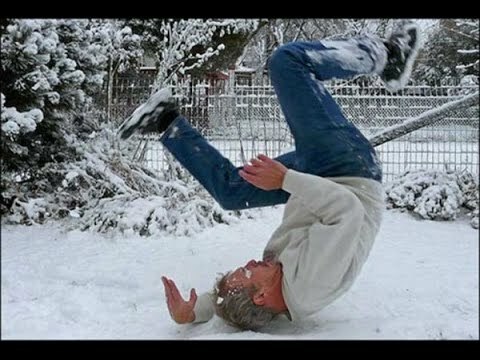 Every year millions of older adults fall. In fact, more than one in four people over age 65 will fall every year. Less than 50% of those people will report falling to their doctors. Falls have a significant impact on the individual, their families and the entire community. Another important thing to remember is that not everyone who has difficulty with balance will actually fall. Some people describe tripping, stumbling, feeling dizzy, swaying, falling into objects, difficulty walking in a straight line or simply feeling “off”. You may feel like your balance is fine when you are standing still, but you may have more difficulty when waking and trying to do multiple things at the same time. Balance relies on your vision, your inner ear, your muscular system, and your proprioception (your body’s ability to tell where it is in space). If one of these systems is not working correctly, it will result in difficulty with your balance. Taking steps to prevent falls and improve your balance is essential to your health and wellness. Look around your house and make sure that you have proper lighting and clear pathways. Avoid excessive clutter. Visit your eye doctor regularly. Maintain your strength, balance, and endurance. If you have had a fall or you are having difficulty with balance, we would love to help. Contact our office today to schedule a balance assessment. 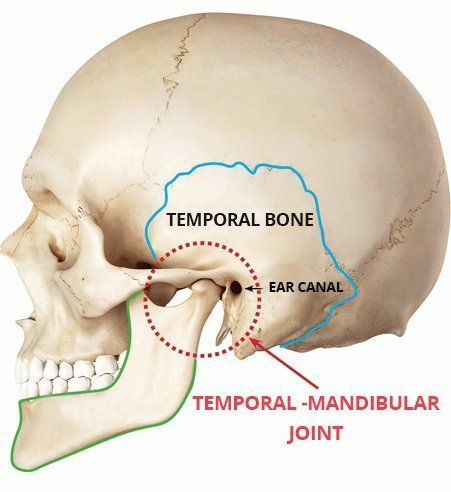 The temporomandibular joint, or TMJ, is formed by your jaw bone (mandible) and skull (temporal bone). Dysfunction of this joint is common and results in a variety of symptoms. People with TMJ dysfunction may experience: headaches, jaw pain, neck pain, earaches and/or ringing, and at times difficulty opening the mouth. Joint noise such as “clicking or grinding” may also occur. The causes of TMJ dysfunction vary. Common factors include localized arthritis, injury, occlusal (bite) imbalance, and stress in the form of clenching and/or grinding. Exercises relax the jaw muscles, reduce strain to the TMJ, decrease clenching/grinding, restore normal motion, and increase joint stability (strength). Normal resting tongue position – Place your tongue against the roof of the mouth as if making a “clucking/clicking” sound. Ideally the front 1/3 of the tongue should rest upwards, just behind the front teeth. This is considered to be the best position for your tongue to help keep the jaw muscles more relaxed. Controlled Opening – Place your tongue towards the roof of the mouth (exercise #1 above). Open comfortably without pulling the tongue away from its upward position. This is intended to limit jaw movement and minimize excessive strain to the ligaments and muscles that support the TMJ. This also often helps to decrease joint noise. Mandibular Isometrics – This exercise has also been called rhythmic stabilization. The goal is to increase muscular control or strength by a series of contractions. Place the jaw in rest position with slight opening and then lightly push against the lower jaw in six different directions: open, close, right, left, backward, forward – without letting the lower jaw move. Keep the amount of resistance very light. Axial Extension of the Cervical Spine – This exercise is used to improve the relationship of the head to cervical spine (neck). It helps to decrease postural stress that could influence the jaw muscles. Tilt the head (eyes) down slightly, complete a gentle chin tuck, then finish with a tiny “nod” of the head without losing the chin tuck position. If you are experiencing any symptoms associated with TMJ dysfunction, we may be able to help. Contact our clinic today to be evaluated by a TMJ specialist. Let’s talk about the last time you interviewed for a new job. Chances are the first step was a phone screen. When you passed that portion of the process, you were then invited for an in-person interview. At that stage, the employer probably asked you to demonstrate your skills through a test or two. The process is set up in a way that narrows down the options until the most suitable candidate is found. Makes sense, right? Just as job recruiters screen applicants to understand their abilities, PTs screen your movements to understand your body mechanics. These movement screens are just one tool in identifying the most appropriate treatment program for you. But unlike a job interview, the screen is not testing your skills or abilities. It’s simply identifying how your body functions during a variety of movements. Summer is the perfect time to make an appointment with your physical therapist for a movement screen. The warmer weather means more time spent outdoors participating in activities that may be physically demanding. A PT checkup will ensure that you’re physically able to engage in popular summer adventures. A movement screen can be done whether you have a nagging injury or you are simply ready to kickstart your activity level after a long hiatus. Gaining an understanding of how your body performs during basic exercises helps your PT ensure that you can safely jump on a bike or into a pool this summer. A movement screen can help you develop a lasting relationship with the activities you enjoy most.